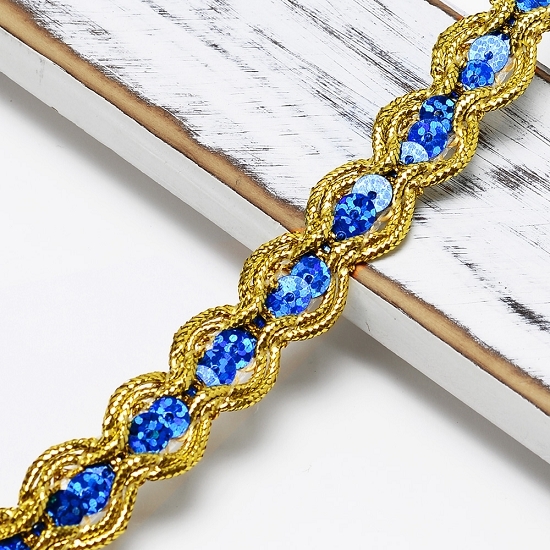 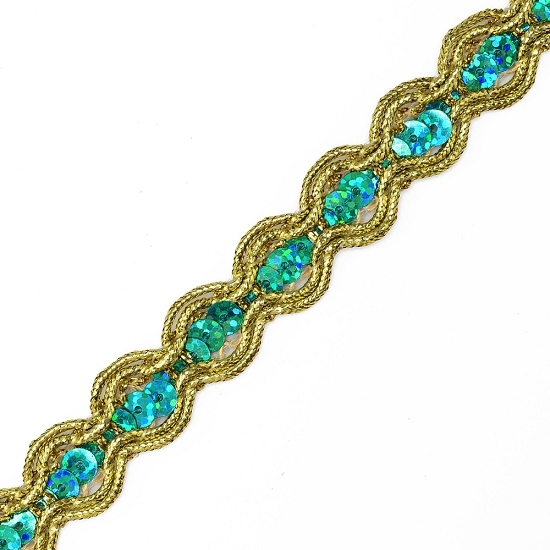 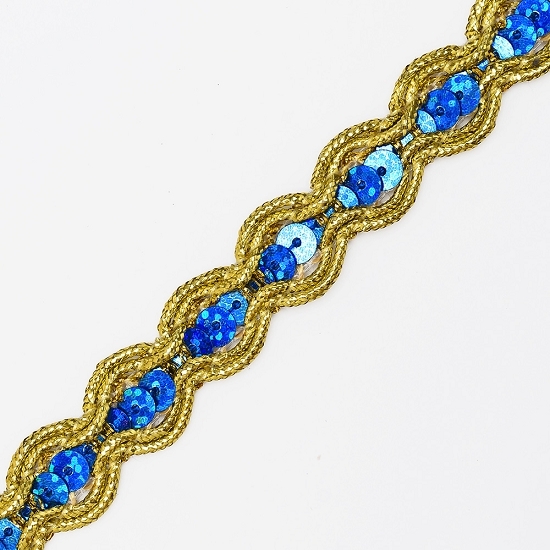 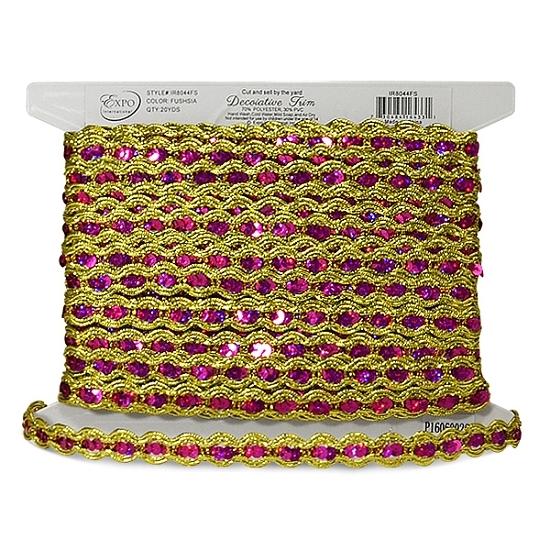 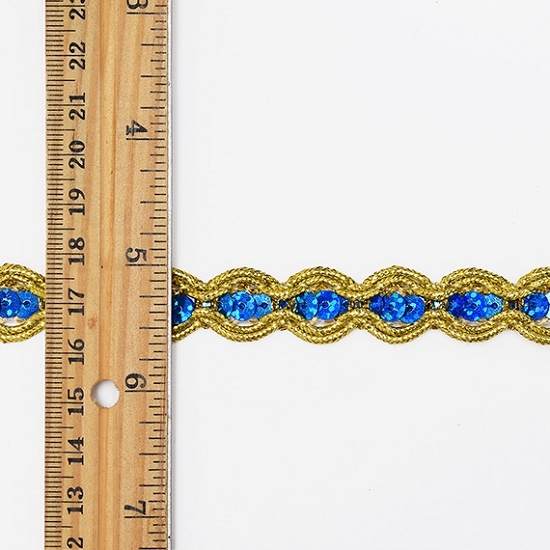 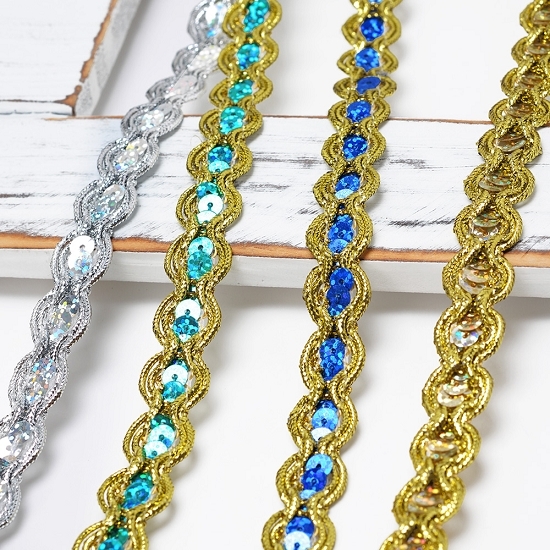 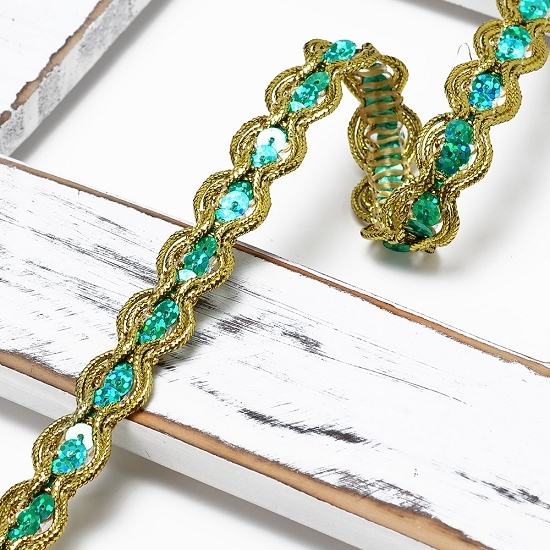 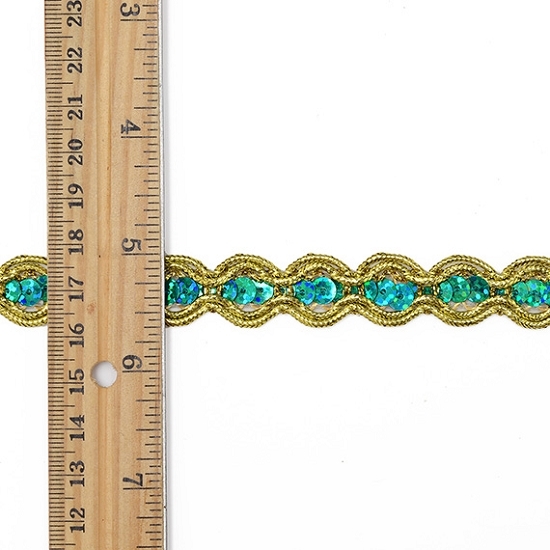 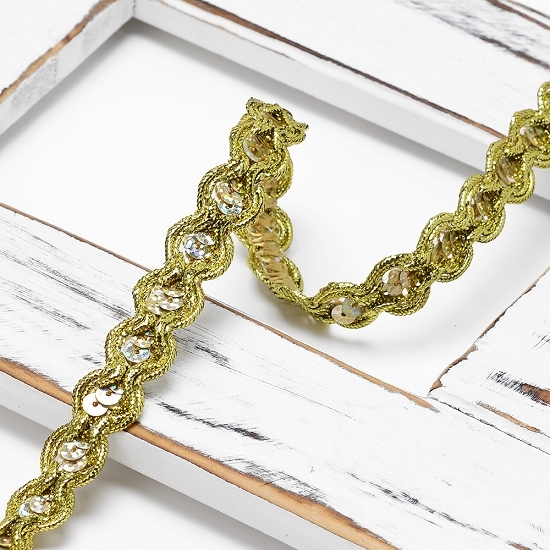 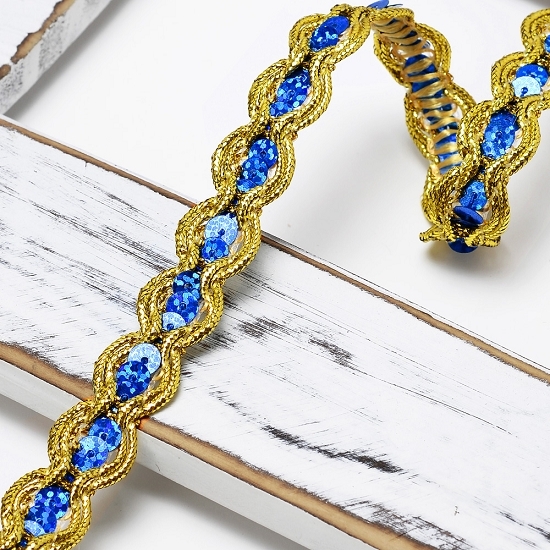 * The River sequin and cord trim measures 5/8” width. 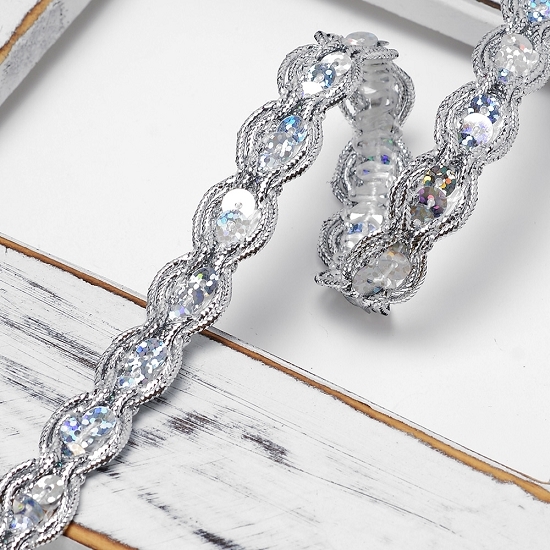 This simple, yet elegant, trim has a unique shape to add distinct detail to any costume or craft. 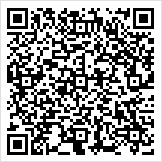 * Care Instructions: Hand Wash, Cold Water, Mild Soap and Air Dry.